Morning everyone! I shot my Winter Lookbook video and photos yesterday - finally. I was sick for most of November, then had a really rough week last week and alas, I'm sick AGAIN. Winter is definitely not my season! 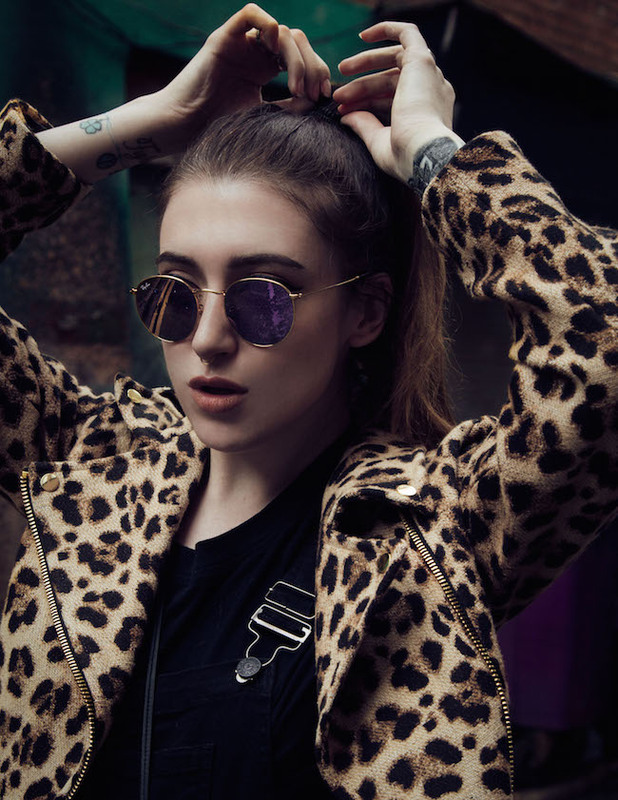 I shot a series of casual outfits, ranging from nighttime, daytime and special occasion. My outfit here is a semi-casual outfit, which could easily be toned down by swapping the wedges for a pair of Converse or Doc Martens. I'd wear this out shopping, to a casual event or to a nightclub. It's comfortable, versatile and still cosy for the Winter weather. I'm not much of a Christmas person, so Christmas-themed jumpers are a big no-no for me. 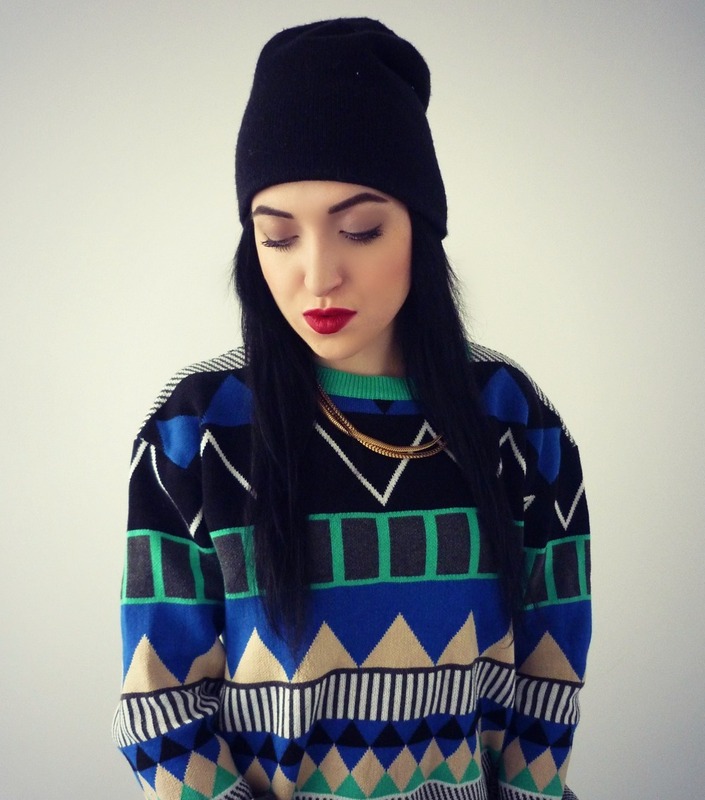 This gorgeous Saved by the Bell-esque printed jumper from Romwe, is the nearest I'll ever get to a festive piece. It's absolutely gorgeous, oversized yet flattering and a statement piece all in one. It's quite colourful, so I wore minimal pieces with it. My wet-look black leggings are from Black Milk Clothing; a definite investment piece. However, they're fantastic quality and really comfortable - I'm over the moon with them. 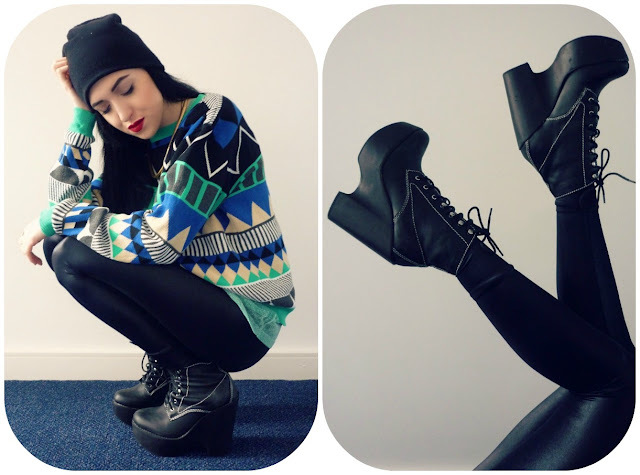 My beautiful Tardy wedges by Jeffrey Campbell, are currently being worn to death as you'll see over the coming OOTD's. They're my new obsession!